It has been a while since we wrote anything about Ferrari so we thought it was a good time to revisit this ultimate supercar marque. 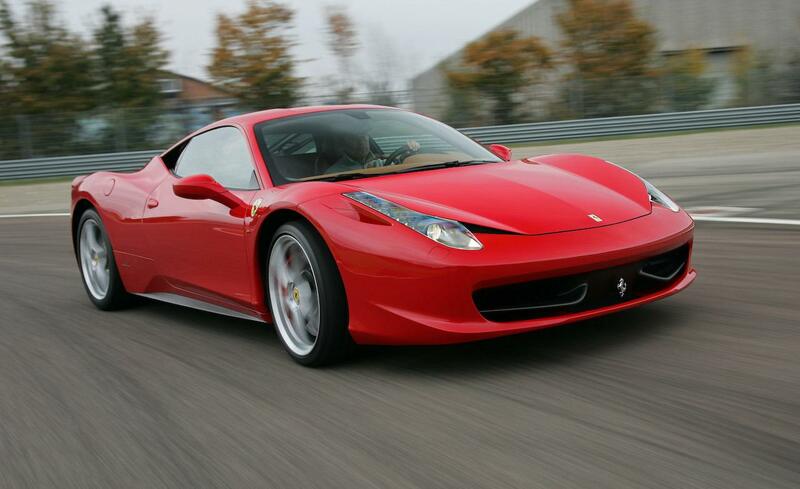 We will focus on the Ferrari 458 Italia, a mid-engine sports car designed to replace the Ferrari F430. 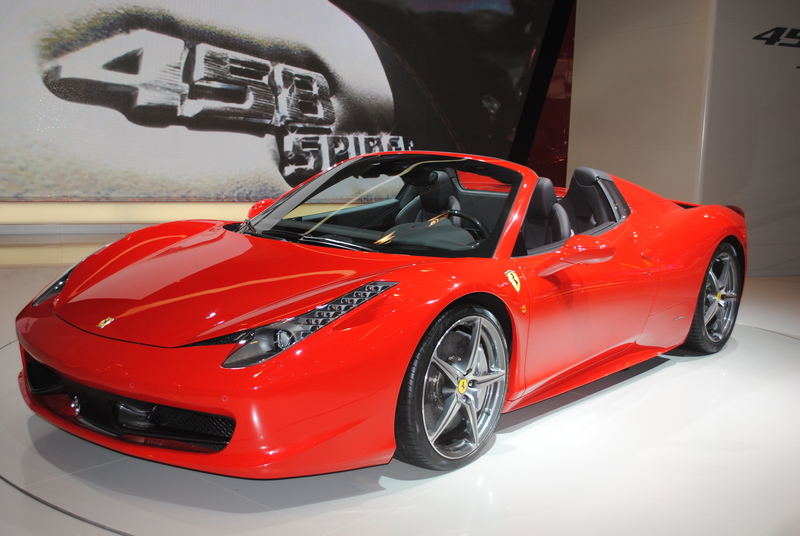 Officially unveiled at the 2009 Frankfurt Motor Show the 458 Italia as been included in the Ferrari line-up since 2010. Powered by a mid engine, naturally aspirated 4.5L V8 producing 562 HP at 9,000 rpm and 398 lb of torque at 6,000 rpm with 80% of the torque available at 3,250 rpm. Yikes, that is a ton of power and torque for a car tipping the scales at only 1,450 kg /3,197 lb. In 2011 at the Frankfurt Motor Show, Ferrari unveiled the convertible variant of the 458 Italia called the 458 Spider which features an aluminium retractable hardtop which can be retracted in 14 seconds. The engine cover was also redesigned to work with the retractable roof system. Ferrari plans to sell approx 1,500-2,000 458 Spiders models annually. It has the same 0-62 mph time as the hard-top model but is a tad slower with only a top speed of only 198 mph (319 km/h). Not much of a sacrifice required to have the benefits of the drop top. To go along with its amazing looks and performance, the 2013 458’s sticker price stands out among the crowd at approx $269,000 (CAD). After all, this is no ordinary sports car, it’s a Ferrari. To catch a glimpse of the sheer rawness of the 458 in action, check out the UK’s Chris Harris behind the wheel of a new 458 Spider driving like an “idiot”. Honestly, talk about the most fun possible on four wheels and on a wet track no less. I think he may just have one of the best jobs in the world. This entry was posted in News, Review, Video, Views and tagged 458 Spider, Chris Harris, Ferrari 458 Italia, Ferrari F430, Frankfurt Motor Show by northredline. Bookmark the permalink. Keep up the wonderful works guys I’ve added you guys to my own blogroll.